There is a sad presumption on the part of many worship leaders and worship leader wanna-be’s. It is human nature to try to feel good about ourselves, and such is certainly a high priority in our culture. By extension we presume the worship we are called to lead will be pleasing to those gathered for the worship (at least those we care about being pleased), and that they will then pour on accolades, which will gratify our longing for a sense of self accomplishment. An example of our misunderstanding of our role may be evident in our treatment of Isaiah’s calling, which many use as a model for worship form. Indeed, Isaiah’s experience in the temple that day is rich in its revelation of worship encounter. What seems problematic, however, is our penchant to glean the experience of Isaiah 6:1-8, and then to leave the prophet there in his called condition so we can turn away and make application of the parts of that experience which appeal to us. Wheaton professor, G.K. Beale, bids our attention to the prophetic ministry to which Isaiah is called. Verses 9-13 of Isaiah 6 will not place the prophet on the most popular prophetic speakers list. Though the Lord did tell him “Go and tell,” which seems innocuous enough on its face, we read on to discover the harsh message of judgement that is his to deliver. At its root, Beale says this message confronts the nation above all for the sin of idolatry. It is frightening to think that our worship could become idolatrous, but indeed, when anything takes over the controlling point of worship other than Triune God, then that thing has become an idol. Thus the name of Beale’s book, We Become What We Worship: A Biblical Theology of Idolatry. As challenging as it can be to honestly assess our worship, should we not turn this thought around to ask simply, “What are we becoming?” The worship itself may become the instrument of judgement. In Isaiah’s day idol worshipers are described as being blind and deaf like the molten images they worshiped. Is there not a danger for us as well that our worship can end up worshiping the worshipers, rather than God the Father, Son, and Holy Spirit? Lord, help us to worship through Jesus, our Lord. When You look upon us may you see Him. In this season of reflection let us reflect on what we have seen and learned from Him, and journey toward the cross that is terrible and at once wonderful. While aspects of the Lenten season are quite communal in nature, it seems to me that even more characteristics are deeply personal. Solemnity certainly can occur within a congregation’s gathered worship, but the deep reflection and assessment of one’s spiritual life occurs largely either when actually alone, or perhaps within oneself even when worshiping and praying gathered with the church. Granted, in time personal growth and development that have blossomed in solitude may be shared with the larger faith community, and indeed the body is built up as individual members grow in their spiritual walk, especially in areas of service and mission. In the spirit of that understanding I want to share a personal insight gleaned through this year’s personal Lent discipline, and finally to make an application for worship ministry leaders, all of which with a prayer that this serves as more than a kind of slice-of-life saga from Paul Clark, but rather that it might benefit fellow worshipers and especially those who lead worship ministries in their local body of believers. I have been richly reminded through readings and meditations that Lent is not so much about what is given up, as some would have us focus, but rather it is about embracing what is provided for in its observance. We pause the noise, and embrace silence, or what can then be heard in the place of noise clutter. We stop grazing on Snickers or peanuts to instead feed the hunger of our soul. The giving up part makes room. This has been my experience personally. My presumption was that this room made would be for something profoundly holy. Perhaps ultimately, indeed, it is insofar as all of life is a grace gift, and all things are being made new in Christ Jesus. This season’s attempt at giving up my personal obsession with checking my smartphone, iPad, or computer incessantly has proven to be a great challenge. Perhaps most surprising for me has been my awareness that the sensibility the Lord is growing in me is not only time spent in Bible study or meditative reading, but simple moments spent just thinking, or doing something outside my normal fare, although in a very normal (for me) place. For instance, rather than staring at my iPhone the whole time I was standing in line at Starbucks, I uttered silent prayer for every person I could see in the coffeehouse. We Baptists have engaged in much prayer-walking, but this was prayer-standing. Who knows what any one of the people might be facing or needing? The Holy Spirit knows, that’s Who, and avoiding my phone availed me of the privilege of engaging in prayer ministry for these people. The purposeful Lent discipline of turning away from that habit, provided the room for me to engage in the other. I was more sensitized to the opportunity, and to the need. On an even more personal note, one night after a time of thanksgiving and prayer for continued heightened sensitivity, I reached into my bag for my pajamas. 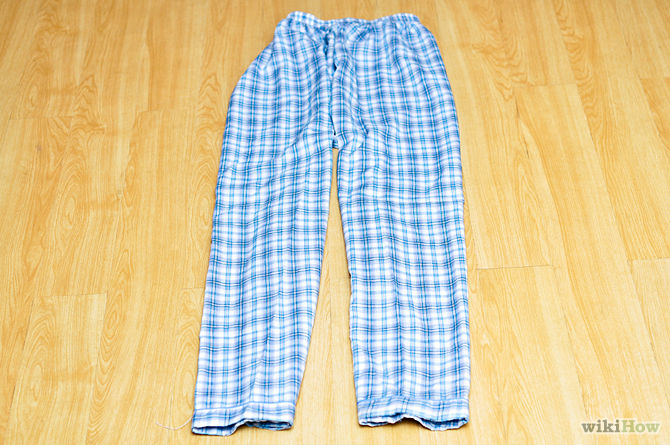 I pulled out the flimsy blue checkered pajama pants that I have worn over and again. As I held them in my hand a realization poured over my conscience. These belonged to my father who passed away several years ago. I wept as two thoughts overwhelmed me. The first was remembering that I had actually helped dress my father in these pajama bottoms in his last days when he had to be helped with every part of just doing life. I remembered the feel of his legs as I lifted them into or out of his bed so he could be moved to his wheelchair. My weeping grew to an even deeper sadness and shame as I thought about how many times I have put these pants on without giving a thought to where they came from, much less the moments of fading life they represent. Somehow the pause and pushing aside of the busy-ness that the Lenten season has nurtured has raised awareness toward small things that contain large gifts. In this case the gift was remembrance of my sweet, patient, father, and the gentle grace with which he faced his last days of this life. Although my younger brother served Dad more frequently than I in the daily needs during those days, it was important for me to review that time in this season of “ashes to ashes” reminder. At once this was lesson of spiritual blessing to embrace the fullness of each moment. I am convinced that our over-produced worship as presentation culture begs to be paused. I recognize the Lord may not give us startling revelation in every service of worship. I wonder, though, just how sensitive we can be to His still small voice when we have minds cluttered with storyboard images, flow sheets, and in-ear prompts. If we are about helping people engage with the living God, I wonder just how sensitive we can be to either Spirit or people if we are overly concerned with pulling off a look, a feel, a presentation. Fellow blogger Stacey Gleddiesmith, who has been leading worship and church planting with her husband for twenty years, is writing a series on “Listening in Two Directions” which addresses this need for sensitivity to the Holy Spirit and to the congregation. I appreciate her sensitivity in “thinking worship” with theological integrity and artistic sensibilities. I pray that this Lenten season will provide worship ministry leaders room to pay Spirit-led attention to those things around us. While such sensitivity may not reveal specifics, it may well at least raise our awareness that needs at all time exist and that in worship we bring before our Lord the needs of the world including those among us who are immediately gathered in His presence. In the small city word travels fast. A flood of friends, church members, as well as fellow ministers showed up at the hospital to pray, console, and express love to theis family. Sometimes it is hard to grasp the dynamics of the ministry of presence, but it seems precisely in these kind of life stories that its grace-giving power is realized. By Friday afternoon, when I first was able to speak with John, memorial service planning was underway, and he was able to focus to some degree on those details, though continuing in an obvious state of sustained overwhelming grief. Here was real suffering, as a life partner wrestled with the ripe pain of human loss. So many who had been ministered to by him now sought to find ways in which they could minister to him. Many if not most of us found that words, other than scripture itself, simply failed, and in its deficit chose simply to remain speechless. On Friday evening Jackie and Tommy, two fellow members of a state men’s ministering music group in which John sings, drove to John’s house to pay a ministry visit. After their embraces and a period of just talking, the two ministry brothers gathered family and any others present in a circle of prayer. Tommy and Jackie were bidding their good byes, and Jackie was, in fact, to the doorway when he turned back to the front room and asked John what song he would like to sing together. Tommy testifies to being surprised by the question, if not a bit taken aback at the thought of singing in such a moment. Does John want to sing at a time like this? Perhaps another day, another time, ….maybe later. To Tommy’s surprise, John requested the hymn, It Is Well with My Soul. Tommy believes Jackie’s action was led of the Spirit, and so the singing began. Tommy and Jackie at first, and then all joined the testimony of faith. That would be this very moment. Sorrows were overwhelming. Response? Yes, this is our faith expressed in singing. But now? Does this include now? Tommy says that the more the singing goes on in that living room the more John is swept into the singing. They continue right on through the verses where Satan may buffet, trials may come, and Christ’s regard for our helpless estate cries out to speak in the present saga. Tommy describes John’s participation as transformative. “It was as if he (John) was drinking it in.” There is a different countenance on his face. He is rared back, eyes closed, and finds strength to join the harmonious strain of declaration. The unspoken subtext calls Satan’s hand on this one. “Where is your sting, death? Where is your victory, grave?” This is music ministry of the first order. This is worship in a time of “no matter what.” Whatever my lot, Thou hast taught me to say, “It is well.” This is obedience – a telling sign of genuine worship. In a very different environment centuries earlier, another very small group worship setting also displayed power in a time of “no matter what.” Paul and Silas were imprisoned. It was midnight, and the service had been going on awhile as the two disciples prayed and sang, which had attracted the attention of the other prisoners and obviously was attractive even to Roman guards. Christian author and executive director of the Christian Performing Arts Fellowship, Patrick Kavanaugh, notes that this must have been an effective service, “for the rest of Acts 16 includes an earthquake, the prisoners’ chains coming loose, and the jailer and his family coming to Christ and being baptized.” He goes on to draw parallel to John Bunyan’s Pilgrim’s Progress, in which the giant of Doubting Castle threw companions, Christian and Hopeful, into prison. Like the biblical characters, they prayed through the night, and “Christian realized that he had ‘a key in his bosom, called Promise,” that would “open any door in Doubting Castle.” I believe we could rightly infer that Christian’s “key in his bosom” was a sense of the Spirit, and such is more akin to spiritual sensitivity and response than it is to musical approximation. In this season of Lent, we make our way toward the cross as human beings. Songs of the journey, including every aspect of our humanity, underscore the reminders given us through ashes on foreheads, and sermons about confessing. Days of contemplation remind me that ministry through song does not depend on scores of singers or high decibel levels. The musical duo, Paul & Silas, gave an effectual performance in that prison cell according to Acts 16, such that the jailer and his household came to faith in Christ. In like spirit I believe Jackie sensed a “key in his bosom” and acted in obedience to lead the song that would engage in worship in a time of “no matter what” in a living room in Tennessee. SHOULD WE GET PUMPED UP FOR LENT? Trevin Wax is a dependable writer-thinker with a consistent ministerial perspective. Currently Managing Editor of The Gospel Project at Lifeway Christian Resources, he maintains a pastoral tone in his blogs, whether addressing the church, or culture. 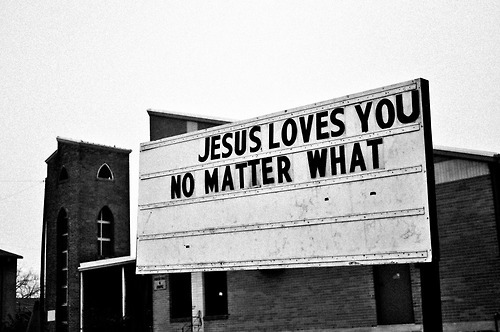 He has an important perspective in this week’s posting, entitled, Get Ready for the Most Super Ordinary Sunday Ever! I will not re-hash the whole thing here, but rather encourage you to click the link and just read Trevin’s remarks – a very applicable reminder, especially to all who claim leadership responsibility for Christian worship. Inspired by Trevin’s article, I do want to address our thinking about worship’s aims, especially as we come upon the Lenten season, and ponder its prospective effect on us as worshiping people, and perhaps double down on Trevin’s sentiment, begging Pastors and Worship Ministry Leaders to carefully consider what your publicity verbiage says about your liturgical ethos, which all churches have, by the way, whether we choose to think of it in that way or not. In other words, what we advertise, in some sense projects an idea of what we think about God, how we imagine His relationship with us as His people, and what would-be worshipers can expect to find should they choose to join us for worship. A fundamental question every pastor and worship ministry leader must surely ask regularly is simply, “What is the aim of our worship?” In the gathered worship environment, “Where are we seeking to lead people?” Often it appears to me that leaders have made worship’s aim a common emotional sentiment. This is most especially true during the music portion of many gathered worship services. The objective is trying to help people feel a certain way through common experience. Love is an emotion in this piety. Granted, well-meaning leaders are hopeful that such emotion will lead to broader followship, but liturgical anemia sets in as focus that rests on experience by its very nature is anthropocentric (human-centered). Friend and mentor, Lester Ruth, speaks to the need for a more theocentric worship derived from God’s own Trinitarian nature and work. Heavy responsibility, and perhaps a most challenging struggle, ends up in the lap of music leaders, who must select from the plethora of songlists that are wrought with the piety that implies we will please God with our emoted affections. Some of the most popular songwriters write books, train “worship leaders,” and shape theological perception around the idea of “touching the heart of God” through these emotions. Many of these writers have little or no theological education, which is alarmingly ignored by many church worship music leaders, and pastors. Far too often there even seems to exist disdain for the introduction of formal theological scrutiny to be exercised on songs that might be a hit, or that we just plain like. Ruth quotes one Christian Worship Music industry executive who explains, “When listening to songs for the first time I try to turn off my brain and turn on my heart. A song can break all the normal rules of songwriting but bear such a touch of God that you can not ignore it.” Senior Pastors and Worship Music Ministers would do well to reclaim their crucial role as filter for the songs placed on the lips of worshipers, and to pour over the long term trajectory of the worship of the people they seek to lead. Our worship shapes our relation with God. We are rapidly approaching the Lenten season in the greater Christian community. Historically this is a season of personal and congregational spiritual assessment and introspection. Certainly we will all likely observe the events of Palm Sunday, Holy Week, and Easter in some fashion. Perhaps a longer period of preparation is once again in order. Americanized evangelical independence has led many churches further and further from the historical norm of seasonal worship observations. Perhaps, however, this might be a good time to more carefully evaluate the aim of our worship, and help lead our people toward a higher recognition of inter-Trinitarian dynamics, and the activity of God within the economy of salvation. Perhaps it is a good time to evaluate song lyrics and the piety they engender of a people who may have become long on feeling and short on discipleship. Perhaps we need less time telling God about our worship, and more time seeing Him as Who He is and grasping a sense of what He has already done. Singing can help us! In publicizing our opportunities for worship, whether through social media, websites, mailers, or other forms of advertisement, we are also indicating something of our view of the God we worship. This year there is a movie out that may well aid our opportunities to connect culture and God. Having seen the movie, do we really want then to convey our response to the Son of God as “pumped?” I appeal to us to consider carefully the reflection we offer as to how we relate to our Triune God. When the tempter escorted Jesus to the Holy City and to the pinnacle of the temple he tempted Him to throw Himself down that He might be rescued by the angels and not strike His foot upon the stone. Jesus stood the test and resisted temptation. I fear that in keeping with an ethos we sometimes project, Jesus would have needed to have jumped, so that worshipers would get “pumped up.” God forbid. Lester Ruth quoting in The Message in the Music: Studying Contemporary Praise & Worship, pg. 39.